Though still in the development stage, Verdant Electronics unveiled a concept that claims to measurably accelerate the manufacture and assembly of printed-circuit boards (PCBs) by reducing the number of process steps. The method takes a reverse-order approach to accepted supply-chain models. 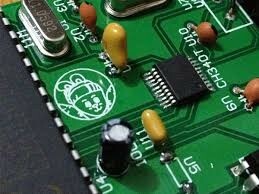 Normally, manufacturers first mount components on PCBs and then apply solder. The company, taking a cue from bare-die, multichip-module technologies of the 1990s, proposes components be placed on a carrier, encapsulated, and then plated with circuits, making direct connections to component terminations without solder. Allegedly, this method will lead to the elimination of many inefficient processes and the need for solder.